To get the registration code of iMusic, you have to purchase the software first. There are 2 accesses to the purchase page. 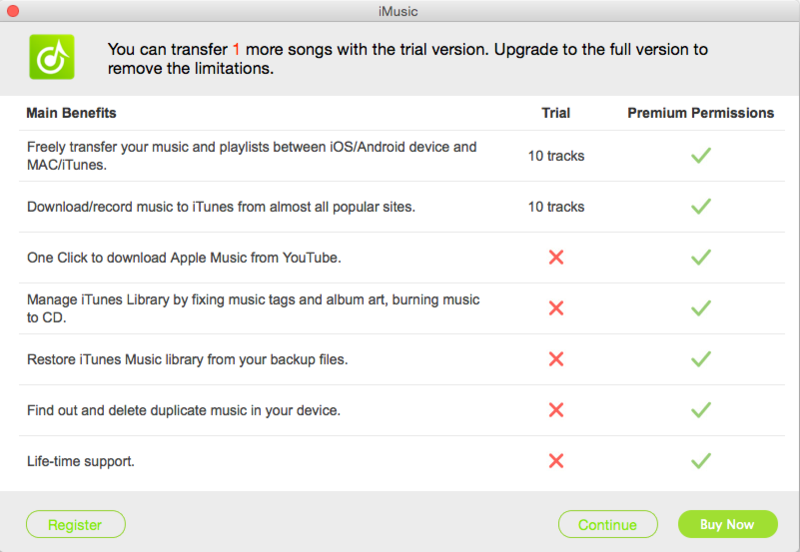 Choose the license type of iMusic that’s right for you. The registration code will be sent to you email after you finish the purchase. 1 Year License: only valid within 1 year. Before expiration, you’ll receive an email reminding you of the renewal, which could be cancelled by contacting support team if you don’t need the service anymore. Lifetime License: only valid on 1 PC/Mac, further updates will be free. 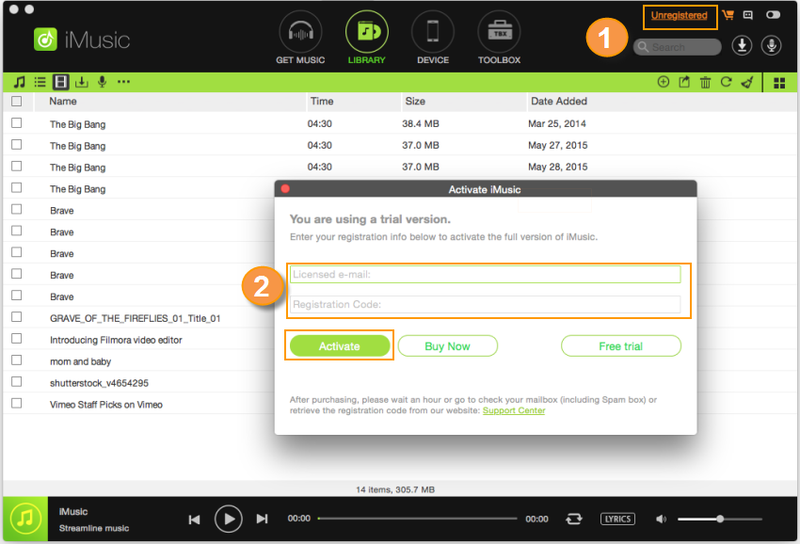 Multi-User License: available for 2-5 PCs/Macs, further updates will be free. 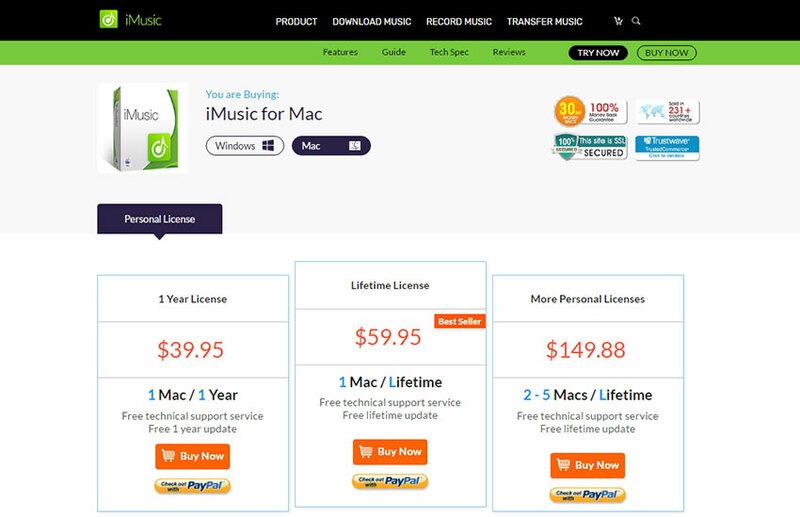 To purchase License for More Than 5 PCs/Macs, please contact kass#aimersoft.com(please replace # with @). 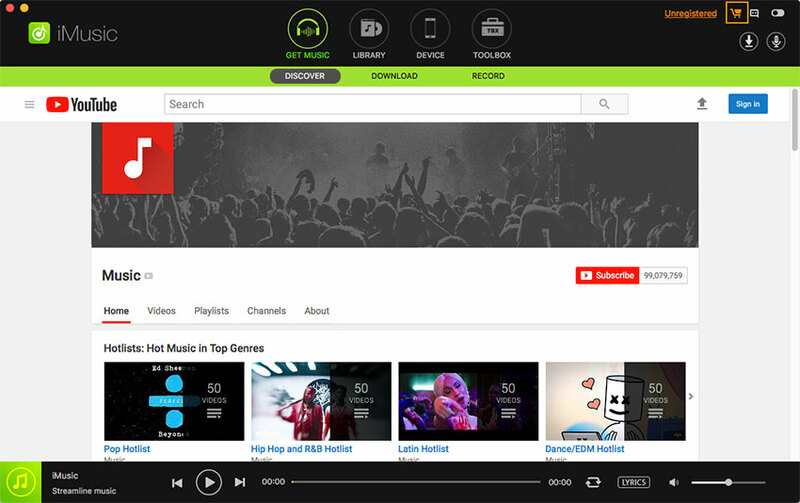 Launch iMusic and click the key icon on the top right of the software, you will see a pop-up window for registration. Copy the registration email address and code from your email and paste them in the corresponding area. Click “OK” to finish the registration.